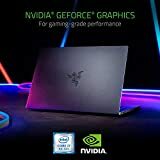 The new Razer Blade Stealth 13 laptop is now available with a more powerful NVIDIA GeForce MX150 4GB graphics and the new Whisky Lake Intel Core i7 processor for up to 4X performance increase in gaming and content creation. Featuring up to 4K resolution in a thin bezel 13.3" display, a new Razer Chroma keyboard, the Razer Blade Stealth combines mobility and style with power that's perfect for work and play. Push more pixels in Overwatch, Fortnite, and popular MOBA games with the available NVIDIA GeForce MX150 (25W 4GB GDDR5 RAM) graphics. 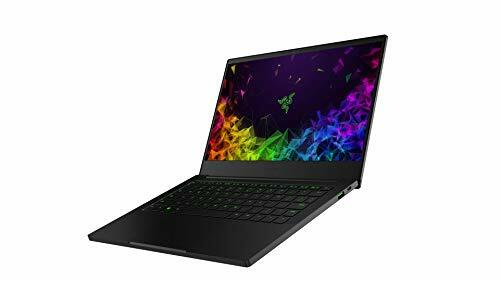 Combined with the quad-core Intel Core i7 processor with turbo boost speeds up to 4.6GHZ and up to 16GB RAM, the Razer Blade Stealth has even more performance for video editing, content creation, and higher frame rates when gaming. The unibody frame is fortified using precision CNC-machining of high-grade aluminium, and its stealth black colour is anodized into the aluminium at a sub-molecular level for maximum durability. The design now features a tone-on-tone Razer logo for a sleek appearance. The new thin bezel 13-inch Full HD matte display is individually calibrated to ensure acute colour accuracy. Featuring 100% sRGB colour saturation for exceptional visual clarity whether you're working or gaming. The keyboard features Razer Chroma single-zone RGB lighting for limitless personalization and style, and a precision glass touchpad that gives you accurate touch controls.